SENEGAL - Pray for the Sully family as they travel to Dakar to investigate the current legal status of the UPCI in Senegal and what may be necessary to update our ability to work there! We also want to follow up on a number of contacts that we have, and to gain information that will help us determine a budget for both living and evangelizing in Senegal. Most importantly, to visit the various regions of the city and PRAY!! Pray with us. BOTSWANA - Praying for financial blessings and God's guidance as three churches are in the process of building on their plots. GABON - Pray with us that we receive our final papers from Government. We are praying that God will remove all the obstacles. Victory as we glorify our Lord! LIBERIA - We ask you to join with us in praying for Bishop Stephen T.Y. Benda as begins his second year of leadership steering the affairs of the UPC Liberia into greater challenges. NAMIBIA - Pray for the UPC Namibia. We have started a new church in Aranos. Eleven were baptized and we believe there are still many more to come. 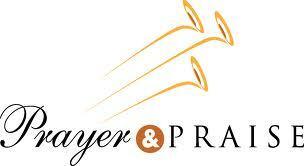 Also, pray for a new church that is being planted in Witvlei this weekend 27-28 July. Namibia needs more laborers for the Harvest to come! KENYA - Please pray for the Nakuru Town Church. There are some who left the church in the 1990's who are returning to UPCK. There are some challenges but we are believing that God will intervene with His help. Another of our churches in Nyahururu, bought a plot of land and plans to start building in October. BOTSWANA - We just had a wonderful General Conference with fifteen souls filled with the Holy Ghost, two saints miraculously healed, and powerful worship and preaching. NAMIBIA - Bro. Frans and Bro. Hauseb traveled to a remote farm where a group of people had been having services. They were able to baptize eleven people in Jesus name! EQUATORIAL GUINEA - Thank you for your prayers for our first Bible School Graduation that took place last month. It was a great success. Twelve graduated from Faith Institute of Theology receiving GATS Certificate Level diplomas. These graduates were from five different nations: Equatorial Guinea, Cameroon, Congo-Brazzaville, Nigeria and Ghana. There were also three persons who were baptized in Jesus' Name and four received the Holy Ghost. LIBERIA - We are thankful to the Lord that the sectional conferences have been successful so far in achieving their objectives. The attendances were very encouraging. Many visitors who were invited were filled with the Holy Ghost. We are also thankful to that Bro. Benda was selected as the Guest Speaker for the Intercessory Worship Service in Gbarpolu County, Liberia. This service began the celebrations of the 166th Independence Day of the Republic of Liberia. His sermon was entitled, 'RIGHTEOUSNESS EXALTS A NATION". Hundreds of Government Officials and citizens of the county along with international guests attended this service. We believe it brought honor to our Jesus and the UPC of Liberia. CAMEROON - Thank all who prayed for our Minister's Conference. We had a very good attendance and God moved in and the Holy Ghost began to minister and mend some very old wounds. A new unity began to sweep over the ministers and we believe it will be like a new beginning for the Church in Cameroon. - The Riddicks, Missionaries to Cameroons . . Happening right now in Kenya.... 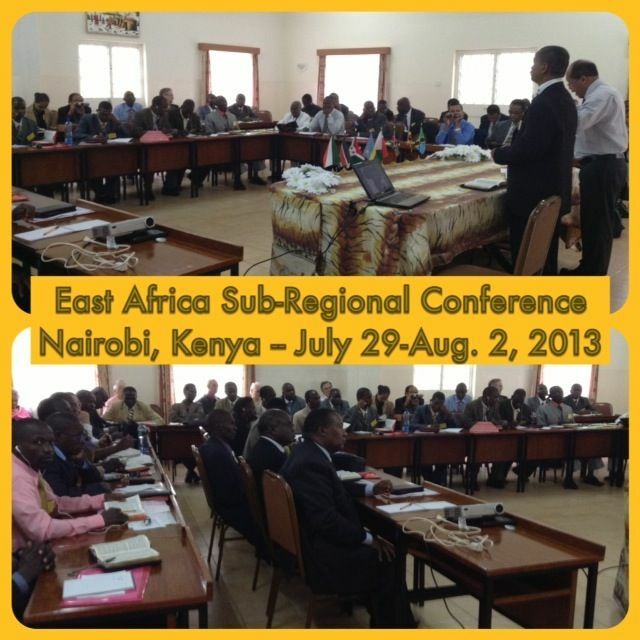 The East Africa Sub-Regional Conference - At least 8 East African countries sent their delegates, with 75-80 delegates present. We are also blessed with several guest speakers from North America.